I am on a mission to have a handmade Christmas this year. So anytime I see something that would be fun and easy to create, I jump on it! 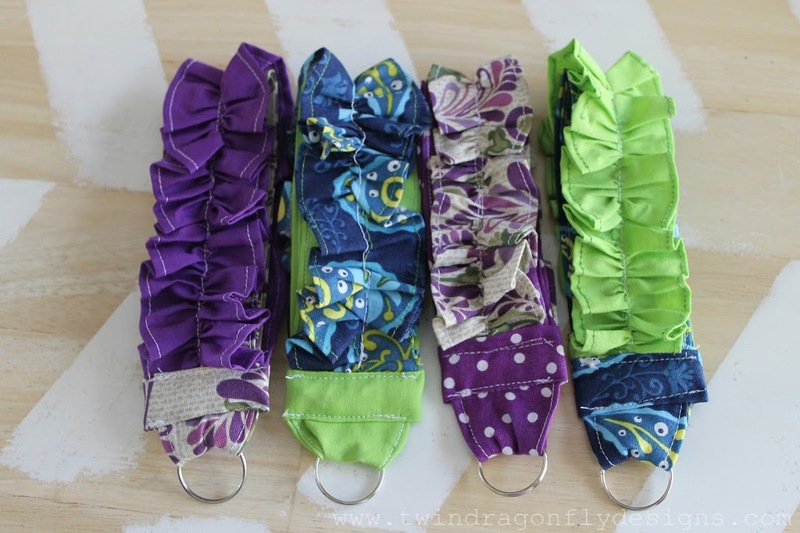 Mandy at Sugar Bee Crafts shared a great tutorial for these ruffled key fobs a while ago ~ you can find it here. And I even won one of Mandy’s original fobs during Cheri’s For the Love auction. It was fun to recieve it in the mail and become even more inspired! 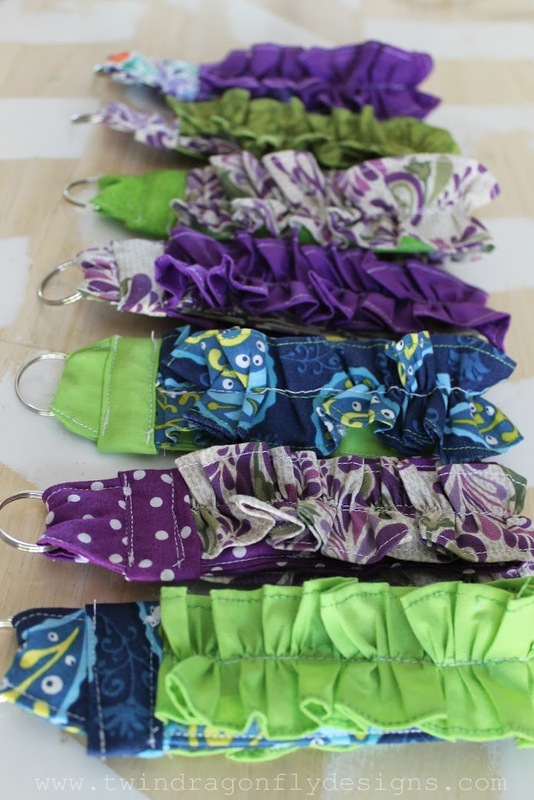 This is a great way to use up those pretty scraps of fabric that you can’t bare to part with. I may attempt selling a few at a local craft fair before Christmas this year so any extras will go into that pile. I have also made some owie owls and utility aprons ~ stay tuned! 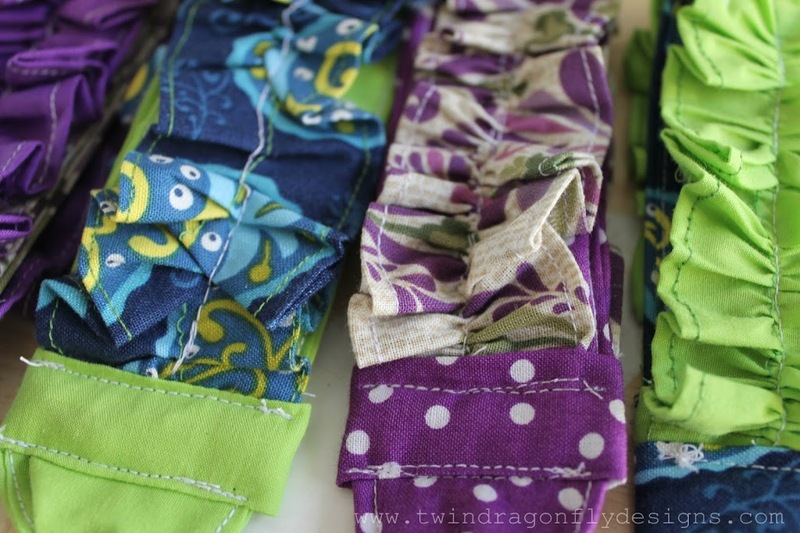 for more sewing project ideas! Very useful and I love all the colours in these!